Some people ask us about the possibility of alternative woods in creating their cabinets. One of the most interesting ideas was the use of bamboo. What are the bamboo cabinets pros and cons? We’ll answer that question in this post. The increasing demand of wooden furniture cannot be followed by the wood supply. Common woods which were abundant are getting rarer because they grow slowly and cannot keep up with the market demand. This is why many people are starting to look for other alternatives. Some find them in the form of glass, while some other find them in the form of alternative woods. Bamboo is one of the alternative woods that are relatively sustainable. In general, bamboo trees will mature and ready for harvest in just seven years. That is a lot faster compared to hardwood trees such as maples or cherry. This makes bamboo as an environmentally friendly material. Another pro about bamboos is their hardness. A mature, quality bamboo can have almost the same hardness as hardwood, so it is relatively resistant to chips and cracks (with proper maintenance, of course). The bamboo cabinets will give you an interesting and different style because of the unique grain it has. 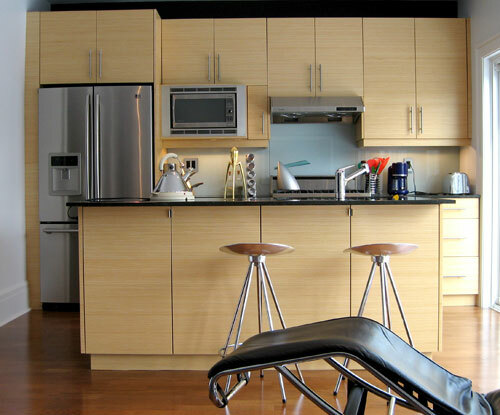 In fact, bamboo can be incorporated in both modern and contemporary kitchen cabinets, depending on the finishes. However, many people are questioning the durability of a bamboo cabinet. Although many references said that it is durable, people are sayings that eventually bamboo will have scratch or crack. This statement is partially right if you do not take care of the bamboo cabinet properly. It doesn’t suit to be used as outdoor furniture or under direct sunlight. Bamboo needs humidity. Therefore, if you are planning to buy a bamboo cabinet you should consider about the placement. Stay away from the sun as much as possible. The maintenance is rather tricky. Do a regular cleaning at least once a week or two. Always dust your cabinet before cleaning them with a soft cloth soak in mild soap water. Always remember to wring out excess water and do not use soap with detergent. A bi-monthly linseed oil rub will help to prevent cracking. You can also opt for furniture oil specifically made for bamboo furniture. If you notice a spill on your bamboo cabinet, immediately wipe it off so that it won’t affect the color. Bamboo comes from Asia and is imported to United States. This means that you may have to pay more than you think. But in general, it is cheaper than hardwood. 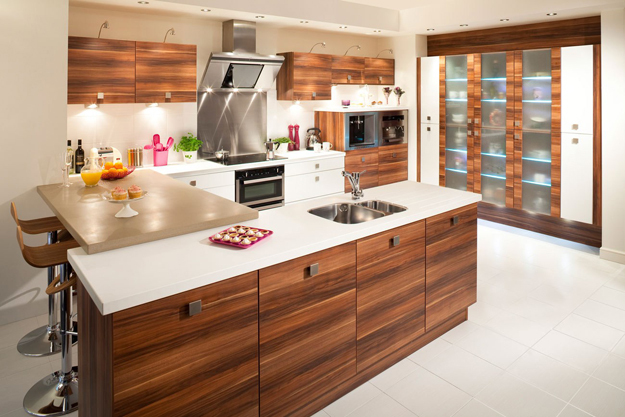 In general, bamboo is a great material for kitchen cabinet. However, avoid using it for your kitchen sink. Bamboo is a wood that needs to be kept away from both direct sun and rain or water spills. 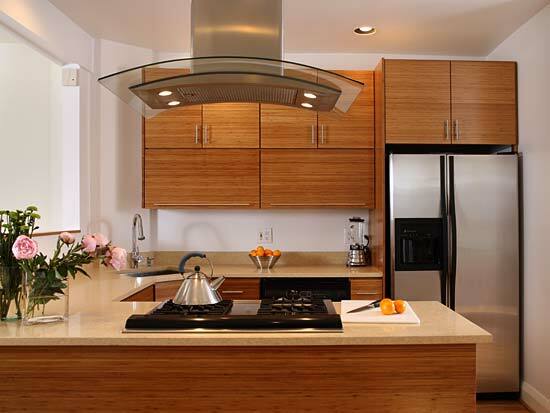 Now that you have learn about bamboo cabinets pros and cons and how to treat bamboo cabinets, the decision whether you are going to get one for yourself or not is yours.